Victoria Falls is one of the natural wonders of the world and one that should most definitely be on that bucket list of yours. 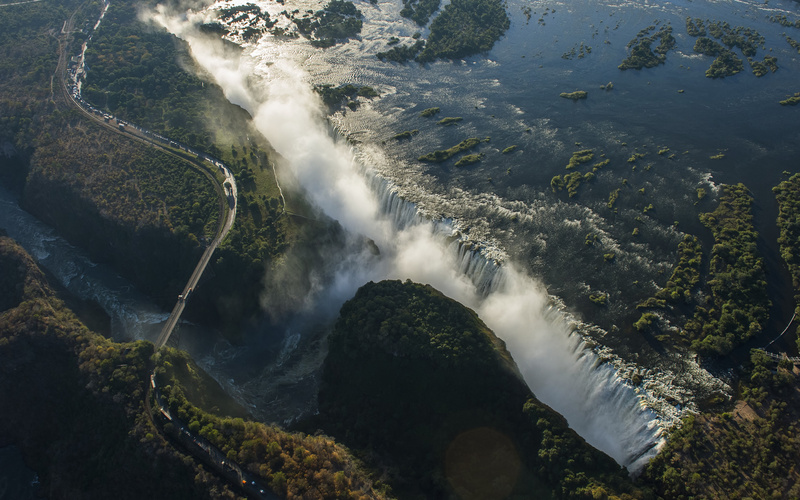 The Falls sit directly on the Zambezi River which is also the border of Zimbabwe and Zambia and so it is often difficult to decide which side to visit or to stay on. As we have a patriotic Zimbabwean in our midst we may be slightly biased however we will do our best shot to give you a fair comparison! The Hotels are relatively cheaper than the Zambian side due to lower government levies and taxes. For almost 80 km’s the banks of the river are remain natural and overflowing with wildlife as development upstream of the Falls has been carefully controlled. There are some activities that you can only do on the Zambian side such as Devil’s Pool. (a section right at the top of the Falls that has pools you can swim in) Only for a crazy few and only in the dry season. Other activities that you can only do from the Zambian side are Micro light flights and Livingstone Island Tours. In the height of the dry season the eastern cataract has been known to dry up completely. Prices on the Zambian side are slightly higher but there are some incredible spots right on the river. Remember you can cross over the border so if you have time you can still see both and it is definitely worth a trek over the bridge! Whichever side you decide to stay click here for more on the leading luxury destinations the Mighty Zambezi has to offer. Let us tailor you the perfect visit to this incredible natural wonder, a visit you most definitely won’t ever forget! 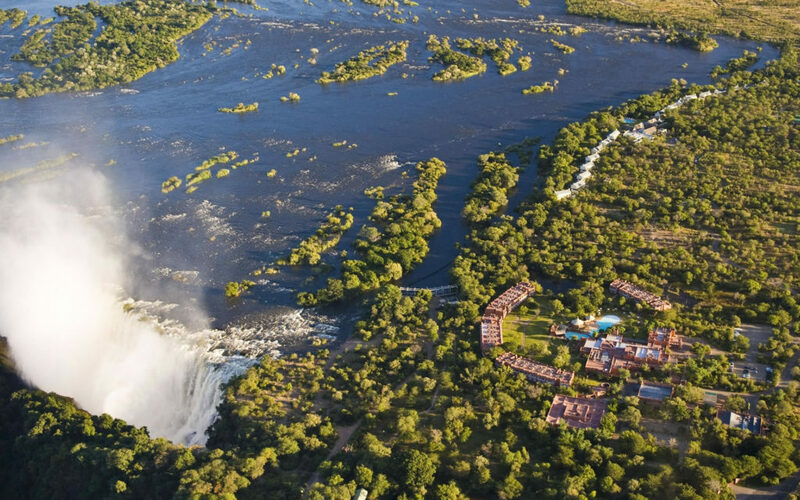 To learn more about when is the best time to visit Victoria Falls click here.